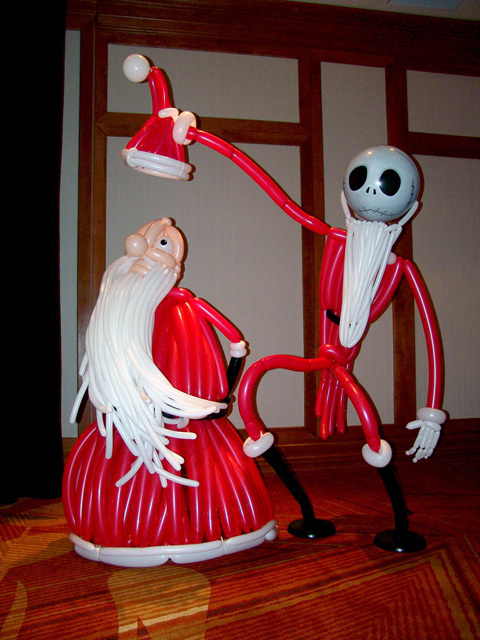 Sandy Claws in trouble with Jack! Always fun creating something special for the retailers of Flat Iron Crossing and their annual retailers meeting. This year we feature Jack Skellington from The Nightmare before Christmas. Obviously Sandy Claws is not happy with Jack as Jack takes his hat. 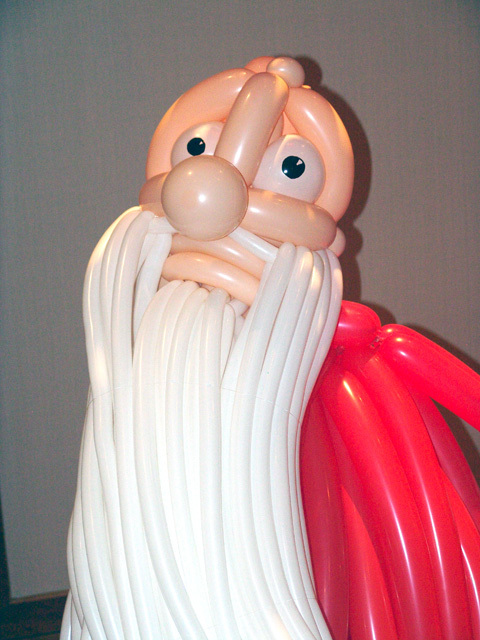 Happy Holidays to you from everyone here at BALLOONATICS.